Are you facing any problem with your USB pen drive ? If the answer is yes, the you are not alone. 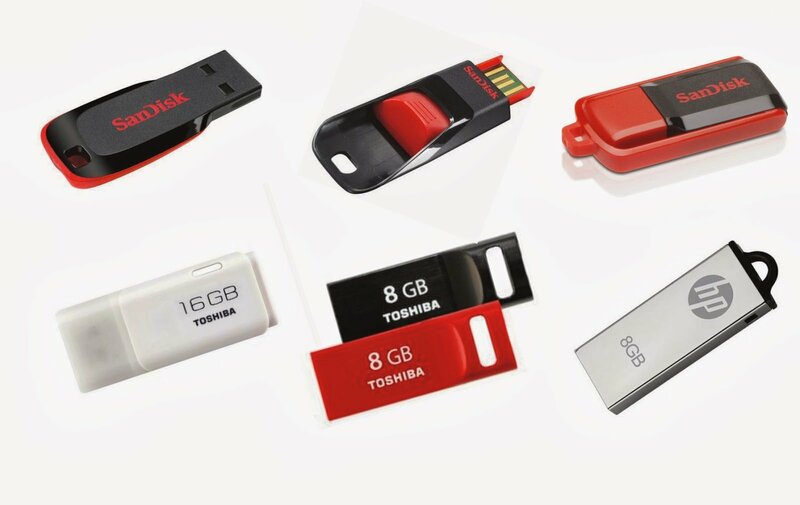 There are millions of users of USB drives or pen drives in the world today and it has become one of the most used data storage device. Over the past few months we have written about a lots of troubles of USB Pen drives and their solutions. Let us summarize top 10 useful posts for your quick reference. Computer Does Not Detect Pen Drive or USB Drive or i-pod : This kind of problem is faced due to some bad registry settings. After you fix up the registry, the USB drive will work fine. To fix this issue, see this post. Pen Drive or USB Mass storage device disabled at office or college or school: At many offices and colleges, the IT people disable or block the use of pen drives. To enable the USB drive when it is blocked, see this post. Problem in removing pen drive: When you try to remove the pen drive via safely remove hardware option, it gives error “Generic volume can not be stopped right now”. It may damage your pen drive if it is removed without stopping it properly. To fix this error, read this post. Protect computer from virus in pen drive: Many of the deadly viruses spread easily through use of pen drive. To see the safety tips on how to protect the computer from virus infection by pen drive, see this post. USB drive is detected, but not shown in My Computer: This kind of problem is also seen in cases of conflict over drive letter assignment by windows. The drive is there and detected but without a valid drive letter assigned to it. See the fix to this problem here. Problem in formatting pen drive: Sometimes when you try to format the pen drive, you might see an error which says “Can not format the drive”. There can be several reasons for this. To fix this problem, see this post. USB Device has Malfunctioned: This one of the unusual warnings which you get sometimes, the solutions to this problems sounds silly, but it works, see the solution here. Delayed Write failed error: This is another kind of error which is more common with USB hard drives due to some error in File allocation table. This problem can be fixed by following few simple steps. See the fix here. Disable data writing on pen drive: This is one of the articles which tells you how you can stop data writing on your pen drive on a particular computer. This will save the drive from getting virus infections. See the post here. Fixed SATA Drive shown in removable USB drive list: This problem we have recently seen for many users. This is a kind for feature in a certain RAID configuration, but annoys many users. See the fix for this trouble here. We hope you liked the above posts, if you want more updates on such useful posts via email for free, click here. Well I have a Pen Drive with 1gb capacity, when i try copying data upto 50mb it wrks fine, but when the data is above 50mb i get the message saying “disk full or write protected” in spite of the fact that there is no write protect switch on it, see if you can help me with it, its moser baer usb disk. I have 2 gb transcend pen drive.when i try to format it, it is showing error ” the disk is write protected” , pls send me solution urgentely. See the solution number 6 and 9 above to find the fix to your problem. i have transend 4 gb pendrive. Only this pendrive does not detect on any computer. others are detected. I have a 1 GB pendrive, the problem is that whenever i insert it, a FLOPPY DRIVE also comes in mycomputer along with the pendrive icon. I m not able to understand what kind of virus is it. the problem occurs after i copy someting to the drive, and then safely remove it, when it says that It’s safe to remove the drive, my computer freezes, after that i couldn’t do anything, nothing could be accessed except i could open task manager and then log off. and another problem i have when i try to clear all records of recently used documents and other things, the action takes too much time and doesn’t finish. so please help me if you can. which is sometimes when i start my computer it wouldn’t start, a sound from the DVD drive appears it’s trying to access it like when it starts normally but the sound continues and the computer dosen’t start, the problem was solved several times when i remove the memorry chips and the cables of whatever i can reach of them, but it’s not solved so quickly so please help me with that also. see the problem 9 in the list above. whenever i insert my pen drive and try to open it it says insert drive.its a 2gb kingston pendrive.im unable to open or format it. It says insert disk. Whenever I try to copyfolders from my PC harddrive to the pen drive ; the olders get copied . However the contents inside the folders are not present. (Folders are empty). Can you also suggest how to increase the size of the C Drive ( by taking the memory of other drives) without formatting the present C drive? Actuallly; the memory in my C drive is very less and want to increase it. When I inserted my pendrive It shows on the computer but when I try to open it, it says please insert a disk. Anybody can help me please about this problem. u most probably have a fake 8GB drive, which maybe less than 8GB in size and hacked at hardware level to imitate a 8GB drive. I have an Issue with my Moser baer Media Player, When i try to to upload any kind of video format files, it is not able to play, it says “File Open Failed”. Please do help in where as i can play any kind of Video format files in it. Thank you so much in advance. 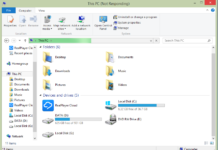 I have pen drive Transcend 4 GB which becomes Write protected and can’t be formated.When I plug it on, it shows Removable Disk in my computer and it contained autorun.inf Folder having 2 files which could not be deleted or modified.Pen drive becomes useless can’t copy/paste. Give me right solution for above prob. I have 1Gb TwinMos pen drive.when i try to format it, it is showing error.The disk is write protected.pls send me solution kindly. My pendrive is write protected. so what will i do.Send me a solution. i have a problem with my laptop 2 usb ports, that has stopped working, situated next to each other beside the disk drive. i have checked the hardware device, everything says all working well and all enabled. i cant find any alert sign that it’s disabled. tried updating driver, all is well.can you diagnose the problem? When I store data in my pen-drive,it get lost after some time. In properties it is showing data memory that it is occupying ,but when I see the content it shows that folder is empty. Please help me out….. I have a Pen Drive of 4 GB Kingston, getting a problem of access denied when it inserted in any computer. Halloo, whenever i insert my pen drive and try to open it says “You need to format Disk before use”. i`m unable to open, and i dont want to format it cause int it i have important files. how can i open it. please help me. my cpu power cablegot unplugged from the ups,i was using my trancend 4 gb pendrive at the time. now when i insert my pendrive it shows only a usb cdrom device icon instead of my pendrive . i cannot open the drive. I have a problem with my flash disk. When I double-click it to open, the computer tells me to “Please insert disk in drive H:” What could be the problem? Please help! i have a transcend v30 flash drive. it was working fine though but recently the flash drive is showing a message of “please insert a disk into drive H:” when i try to acess it through windows explorer. it also give the same message when try to format it , in properties it shows 0bytes used & 0bytes free! Plz help….! I have a 64gb transcend pendrive.but it will not formated. I have transcend 8GB pendrive , I had formatted with NTFS but unfortunately I cannot copy anything to it. when i click on pendrive icon it shows “please insert disc to drive h ” plz give me a way to solve this prob . i have a 4gb kingston pen drive…..whenever i insert it …..it shows “the disk in drive f is not formatted.do u want to format it now?”…i haaave important things in it and i don’t want to format it….plz solve my problem? Hello, I have a problem as I cannot access my USB memory stick and now even card of my camera. When I plug them in they are both recognized, and the drive letter is also assigned to them. But when I try to open the drive I get an error “I:\ is not accessible, access is denied”. The curiosity is that from windows explorer i can access the contents of the pen drive without any problem. I checked the USB stick on another computer and it works fine. Other USB devices such as the printer connected to this computer are working fine. Anyone have any idea what could cause this, or where else can I look to fix this problem? hello, i formatted my kingston pendrive,and its memory reduced to 950 mb from 2 gb.What should be done so as to regain the lost memory. when i click on pendrive icon it shows “please insert disc to drive X” plz give me a way to solve this prob . but if i clik it shows “windows was unable to complete this format” when i close the window another msg came up “the disk drive can not be formatted”. I noticed one more changes I can’t see the capacity of my drive in formating window. I have a 4gb Kingston pendrive, when i insert it . it shows acapacity of only 18 mb , I format it many times but the result is same. is there any chance to save my pendrive?? Even after restarting, it says the same thing. Please suggest. i have a kingston pen drive which shows 127 GB capacity. It is sensed by the cmptr however while formatting it is showing ‘ Not able to format’ also it shows no system ie FAT/ FAT32 while attempting to format with right click. With disk management also it is not being formatted. It appears it is a low capacityu pen drive showing heigher capacity. Pl help. i want to know how can i deny access to my pen drive from others. i dont want any one copy any data from my pen drive and even cannt read. how i can i make a drive read only? i have a transcend pen drive.whenever i insert my pen drive in the pc a dialog box appears saying “windows explorer has encountered a problem and needs to close”.I click on the “dont send option”.afyer that when i try to open it again ,it says the same thing.no problem in data transfer or watching any video from the pen drive,but the dialog box appears everytime.it didnt used to occur initially and it also doesnt happen in other computer but mine.plz help. i’m using 32 GB Kingston pen drive /…..
whenever i upload any data to it, it shows the data is present but when i try to open that data it doesn’t open. same happens with the word documents n all..
please help me ….. what should i do.???? I have a Data traveler Kingston 8gb DT101 and inside it are my my important files. One day I plugged it into a computer rental shop and the next day when I plugged it into the school’s computer, my files had gone. I checked properties of my usb and it shows the capacity i have consumed. I also tried to scan it with anti virus (KPS) and scanned it with error checking but nothing happened. I am hesistant to format my usb beacuse it contains important files. Please send me a solution trouble fixers. Note: when I tried to copy the files inside, it says “Cannot create or replace FOUND.000:Cannot find the specified path. So I tried to locate the folder FOUND.000 and seen my files were broken. Hope you can help me… thanks! I have 2 GB Sony pen drive but when i open it, it shows it is not formatted do you want to format it but when i format it does not format can you please send me the solution of this problem in my email id. I have 32gb kingston pendrive. Whenever I store any data or movie or any sort of file and try to view in my friends computer or any other computer it is showing some sort of ASCI codes and chinese characters on folder names. I try to format it many times but same problem, if someone has solution then please mail me. i have a 4gb kingston usb. i am facing an exactly same problem as discussed by selwyn above. due to very important data in it i can’t format it. While in properties it shows the used space as 951MB but files shown are only of about 4MB size.Please help me out.thankyou. i have a 2 GB kingston pen drive. when i insert it, my pc detects it,but hen i try to explore it..it says ‘please insert disk in h drive’. I tried one of ur solutions but no use…..
i have a kingston data traveler DT101 4Gb pendrive. when i insert it, computer can detect it but it shows REMOVABLE DISK in my computer. i try to explore it but it says that ‘please insert disk’. the properties of the pendrive shows that 0 mb space but it still has a lot of space in true. please tell me how to solve this problem…please…i need it! Hello, am using a Transcend 8 gb pendrive. The problem is i have only 2 or 3 gb of files in ma pendrive. But it shows that it has data of 6 gb. When i go to scan it by any antivirus software it scans the files which i have deleted long time back.And wen i go to search the files it shows that the files are not there,not even as a hidden folder!!! please save me!!! I am sanket, can someone pls tell me the solution of my kingston 4 GB pen drive.The problem of it is that it is detected but it tells that please insert disk drive. i am srivathsan, when i insert any pendrive the computer hangs and when i remove the pendrive everthing is resumed. can anyone give me suggession to tackle this problem. hi.well im hav’g a problem wth my 32Gb pendrive its fat32.i am been able to format it well.sometimes it says insert disk to removable disk X.well i even change the name…then it says volume label is not valid..
i off my pc.then again i formatted it.i gave it the volume label as it should be i think USB 2G but the problem is tht it takes too long to format and before it took me more than 24hrs. well i don’t wanna b face with the prob insert disk etc..and plz the experts of IT plzz help me out of this problem.plzz tell me if thr’s a problem in my usb.well my usb is new.i just bought it.its the first time im using 32gb..and im having loads of problem with it..
plzzzzzz guys i need help..help me as soon as possible..
i hav 4gb pen drive. wen i transfer files pen drive to pc its working but wen i transfer files pc to pen drive then computer hang or they take time in hours. Hi, I recently bought 32GB Kingston Pen drive. It is detecting properly, and even I can format it properly. While copying data it is too slow and once I remove the pen drive and re-insert it, all data disappears. In properties the occupied size showing properly. I scanned pen drive through anti-virus and found a file named “TORTA.EXE”, but unable to remove. Please help me to resolve this issue. I have a 2GB Kingston pendrive.when i plugin the PD although it is detected but when i try to open by double clicking it shows up NOT FORMATTED message.I have some important files inside it.how can i access those files now.also the properties shows the capacity of the PD as 0 bytes.Please reply…. i have a pendrive, its get detected when i insert into my computer. i copy some data in it but when i insert that same pendrive into my laptop its shows that data is not copied properly or the data doesnt opened only. I have 4GB pendrive but i can only store utp to 190 mb. For example: I copy 200 mb video to my drive and try to open from pendrive then only 75% can be played. i want to a small solution.. with do the safty remove removing pendrive what is the problem occur…. i want to a small solution.. without do the safty remove removing pendrive what is the problem occur…. I hav 2 pen drives, both ve a same problem now. When i connect it to d pc, it s nt recognized and it gets heated up!! looks like its a faulty USB port delivering excess of current, thats is why it has heated up your drive, and it has probably damaged your drive. get the PC checked by a technician. my 4 gb kingston pendrive show’s some files “corrupted” and “not accessible”…dis pendrive contains many imp datas and all is lost!!! !pls help me 2 get it bak…pls mail d ans 2 ma gmail adress..pls……..
it shows used space but on opening nothing is in it..
copying is also not done to pendrive..
My 16 GB Transcend pen drive says disk is write protected.. pls help. Tried formatting, only quick format works occasionally, but even after quick format, same error pops up.. Pls help! i have a pen drive of HP v165w.there is a problem that this pen drive cannot be formatted.it shows window cannot format. i tried it with computer manage,cmd but all in vain. please sir give some solution. my pen drive is 4gb kingstons i was using nearly 8 months ago but today when i inserted to my system message display as format your pen drive so i do format but i was shocked that the capacity of my pendrive is 1 gb only how its possible so i keep formating 10 times but same problem is hapen so i lost 3 gb,i need some help to recover my capacity.help pliz……. Great piece of info guys ..
Anyways , id like to appreciate the efforts of the people involved in getting solutions to pendrive issues. when i put pen drive in the computer. light inside pen drive start blinking but my computer is not detecting pen drive and showing nothing and light continuesly blinking. Pen drive was working earlier and there is data inside. pls help how I can detect pen drive in my computer and get my data. my problem here is when i double click it… a window appears that want me to choose a program to open my pen drive…anyone know the solution? i have a kingston 4 GB pen drive, which i bought recently. i had store some information in to the pen drive in a public internet shop. after that when i tried to open the pen drive in my personal desktop it showed the message “WINDOWS-DELAYED WRITE FAILED”. when i tried to delete the information in the pen drive it showed following messages: “CANNOT DELETE-Cyclic redundancy check, THE FILE OR DIRECTORY IS CORRUPTED OR UNREADABLE, THE PARAMETER IS INCORRECT, CANNOT FIND THE SPECIFIED PATH “. i also tried to format the pendrive but in vain. can you please suggest me how to fix this problem. i have tried the tips given by you but they didnt work. please kindly help me in this aspect. i cannot format it….even san it from yhe virus…. 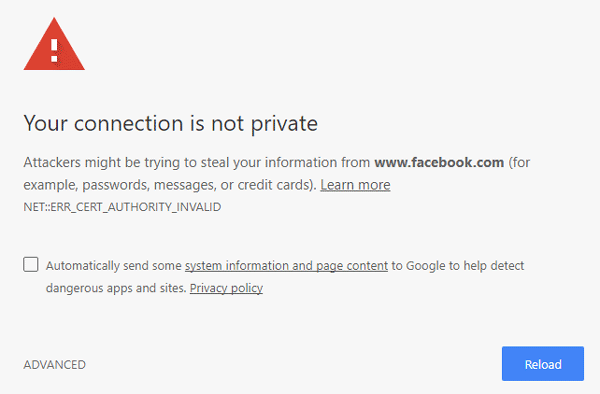 and nowit cant open…pls help me……..
is great problem which i faced for past two months.I am really very thankful too you for the useful tips. Q: When i try to open a folder, for each and every click the folder is opening in new window.What is the solution for this problem? i am using a 64GB kingston pen rive……..
now i cant open it…..ven i do so,it ask to format …yet cant format,show error.!!!!!!!!!! i also cant scan it from virus……what can i do………plz help me………. my pen drive shows red light but not shows removeable drive on my computer. whenever i insert & open my pen drive 1gb or 8gb also same with extenal hard drive 250gb in Windows Explorer in the Dell laptop (having Windows XP OS) a dialog box appears saying “windows explorer has encountered a problem and needs to close”.I click on the “dont send option”.after that when i try to open it again ,it says the same thing.no problem in data transfer or watching any video from the pen drive,but the dialog box appears everytime. it didnt used to occur initially and it also doesnt happen in other computer but mine.plz help. computer detects USB derive shows in the drive list. But when it is clicked to open it shows drive is empty please insert a disc in the said drive. i want solution like , if anyone attached infected pen drive to pc then pc hdd start formating . is that solution is available?. Sir i have a problem with my pen drive . When i am scaning my pen drive what ever the data showing . But if i am open my pen drive the data is disable. The data are hidden . If i am formating my pen drive the datawill collapsed but i want my data.pls solve my problem. my moserbear pen drive shows error 10.
hi,how can i fix my 8gb hp pen drive which has become write protected.i can copy something into it but nothing is being deleted nor can i format it. plz help me to get out of this trouble.thank u.
I’ve been having problems with my SanDisk cruzer micro 2.0 GB flash drive.Whenever I connect it to a u.s.b port the light will come on blink a few times but it will just sit there and do nothing then when I go to my computer it doesn’t show up at first but after a few seconds it will appear as a flash drive is being detected but the name I had given it will not show up. But when I try to click out of my computer the window doesn’t want to close with the flash drive still connected when its removed my laptop works fine.If you don’t go to my computer and wait for the auto play and let it keep searching the blue bars keep going across the screen and it doesn’t show whats being searched. And I cant access any of the files that are still on there it wont even bring up the window when I try to click on it.The my computer window will just keep freezing up on me. So I was wondering if anybody knew what this could mean? thank you reading this. Hi i have pen drive. i dont have plug in drive in my car cd player.Is there any way to insert my pendrive by external device and connect to cd player as input and listen to songs. Sir, i have a problem with my pen drive . When i am scaning my pen drive what ever the data showing . But if i am open my pen drive the data is in short cut. The data are hidden . If i am formating my pen drive the datawill collapsed but i want my data.pls solve my problem. After all that your data should be unhidden and the shortcut thing can be manually delete. my usb divers pen drivers are not working? my pen drive is not working…. it is detected on my computer…but when i tried to open it says “Disc in drive not inserted please insert the disc” What can i do??? Am using windows 7..
Im also having similar problem like on comment 11352.”Please insert disc”. I’ve tried to change the drive letter also not working.Got any other solution? 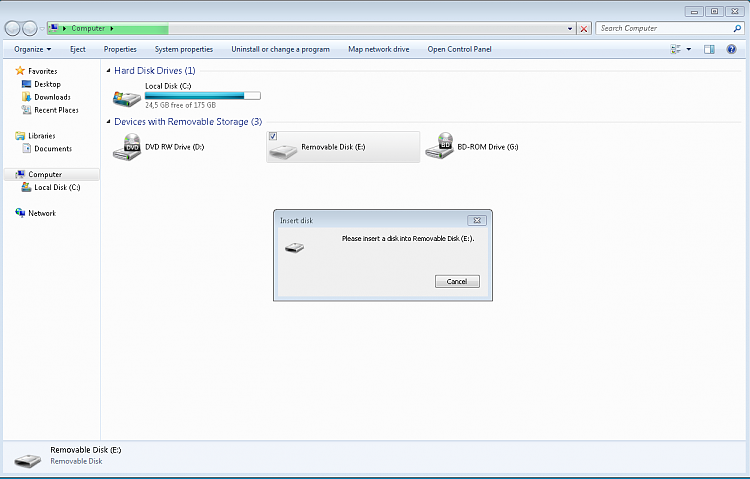 hi, hav a problem that my system is not showing removable drives in removable drives list. it shows every drive as generic drive hence i cannot safely remove my pendrives, as well as my external hard disk plz help…….. Simply format it and select the file system from the available options. Sir I have a I-Ball 2GB pendrive. when i connect pendrive & tried to open my PC my computer getting hang. So I format it but It again hang my computer then useing MsDOS I fomat it by FORMAT command. But it again hang my pc. I insert it another PC bt again it has a same result. Plz sir tell what should i do Plz help me. There is no files or folders in pen drive(kingston)but it is showing 17% used space. I am having 4Gb Kingston pen drive. It is showing Kingston (J:) instead of Kingston (H:) in my computer. i have 8gb hp v165w pendrive ,it did work in my hp laptop win7 os , the usb connection wiil show the tool bar the location will not found in “my computer”, if right click the usb connection it will show the drives in divse and printers how to solve this problem? I have 2 Gb Moserbaer pendrive, it does not read in any computer machine. I have the important files into.please help me , when i tried to open it says “Disc in drive not inserted please insert the disc” What can i do??? I’m using windows XP. I have a 4 GB kingston pen drive. Any files can be copied to the pen drive as usual. 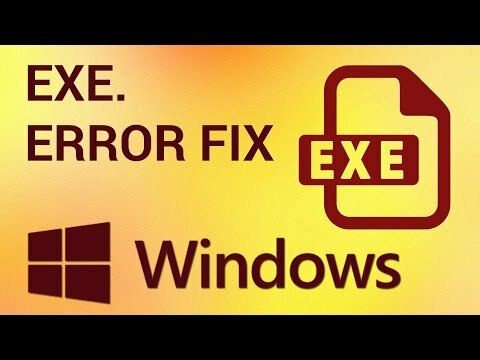 But, movie/video files, exe files etc are not working properly. I think, they are corrupted. It take more time to copy files into pen drive. mp3 files work properly in my pen drive even if it take more time to copy it to pen drive. Please help me sir… Please help me sir…. Please help me sir….. to fix this trouble..
whenever i insert my pen drive and try to open it it says insert drive.its a 8gb transcend pendrive unable to open or format it. It says insert disk. i have kingston 4 GB pendrive. Only this pendrive does not detect on any computer. others are detected. Now I have a very easy and very fast way of recovery tool to put all these sad sentences to a stop. I was also one of the guys among you who used to throw pen drive once they become lifeless. Just try to format your pendrive with the HP USB Disc Storage format tool first. Then scan your pen drive with two or more anti virus to get rid of any virus left at all. This will work only in case if at least your pen drive is detected. In case of a transcend pen drive go to the Transcend website and use an online recovery tool. This tool works wonder for the Transcend pen drive and it will start working again. If this is not all then go to shop to purchase for another one. I hv 4 GB hp pendrive bt works as 6 mb. I am unable to store data more than 6 mb. Plz give me solution. I purchased a Kingston 8 GB pen drive, but it transfer data slowly and after Reconnecting the pen drive to system, it shows nothing.. plz help me..
Hello I have a 8gb kingston pendrive. I put downloads directly into my pendrive. When I remove it without safely,I got a problem. Can I found solution for this. Even I try to format it but it is not possible. Is this a pen drive issue? My pendrive does not work .ie any pc do not detect it.I also observed that my pendrive do not get power. Hi I am having HP 4gb pendrive,computer is detecting the pen drive however i m not able to format it.Even i tried in DOS prompt also and i unmount the disk also. Is my pen drive is Dead?? working properly means all the files are opening correctly. If once i remove and plug again the pendrive(even with safe to remove hardware) total data files are corrupted. no one files can opened. what is the problem . is it system security or problem in pendirve. it is 32 gb pendrive. my moser baer pen drive of 2gb has 740mb data in it, but when i connect it, the laptop or pc says.. ”the folder is empty”. it shows only folder’s name but no files in it. i have to get that data, its very important. please help me. please. I’m unable to copy any files from my pendrive. It shows try again, skip and cancel whenever i try to copy and also my pendrive has got a new kind of virus named as roinaax.exe even google doesnt hav any info regarding that virus. 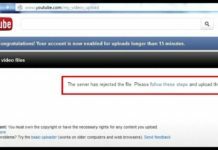 Please help me how to remove that virus and to copy files from my pendrive. Please, what is the solution for problem 7. It is currently with the same solution of question 9. I have a kingston 2GB USB pen drive. When I insert it to my computer, it’s not detected. I don’t even see it in saftely remove Hardware list also. No sign of power flowing from comp to it. I am not sure, It might have dead. Could some one help me out to figure what exactly is the reason? hi… my pen drive is detected but when i open the drive i cannot see the files and folders… i have tried the option ” show hidden folders”, but it does not appear still. also, the pen drive properties show that those folders have occupies space inside. i have a problem with my 2GB pendrive, is my pc detects new hardware found but it cannot display antthing……….. how can i recover that porblem… and how to get as woking pendrive…… could U pls give solution to my mail………? Hi, my 4 gig toshiba pen drive is having problems. I removed the case and there is no signs of physical damage to the device. When I plug the device into USB ports (I have tried apprixamtely 15 different ports) the device blinks and the computer tries to the read the drive (it will appear for a split second). However before the computer can read the drive, the pen drive “ejects” itself and then “re-inserts” itself. The pen drive will continue to do this until you “give-up” and pull it out. Is this a problem with the electronics? Have I lost everything?? PLEASE HELP ME!!! I have 4gb kingston pendrive when i insert it to computer it always says the file or directory are corrupted and unreadable.Pls give solution for this. When I right click on drive, it shows ‘0-byte’ both in used and free space. when I format it or apply CheckDisk function, nothing happens. Plz tell me the solution. I have Kingston 3G 16GB USB..the problem is that when i copy the data into it,data gets copy but when i reinsert the usb then some of the data gets lost..kindly tell me the solution. I have a pen drive HP v165w. My pen drive showing in system but it is not being open ask me for first format this drive and this error is occur that window is unable to complete format. so please give me solution. this problem was created when i transfering a file into pen drive and during this process i was plug out pen drive form the system then error was occur. since then my pen drive giving me a problem. Normally a pen drive data may get corrupt when you plug it out during data transfer, so what you can in this case is try recovering the data using some data recovery software like recuva – google it to know more, its free software. I have a pendrive of 32gb, when the data stored in it it shows everything till i remove from the system. If i connected to the system immediately or after when i needed only folders will appear but nothing of its contents. Why it is so i am not able to understand I hve formatted no; of times but problem remains the same. please give me the solution on the above. Well I have a Pen Drive with 8gb gb capacity, when i try copying data upto 6.69 gb it wrks fine, but when the data is above 2.71 gb i get the message saying “disk full or write protected” in spite of the fact that there is no write protect switch on it, see if you can help me with it, its moser baer usb disk. Hi,i am having a 4gb pen drive.while i am copying files into pen drive it shows an error message like”USB is fully protected “.but files are not copying. how to solve that problem.so, plzz help me!! hai when i insert the pendrive it show a new hardware found and pendrive not worked properly and detect by the window ..
pls tell me the setting to not to get again these problem so that i can use frequently . i have a 2gb transcend pen drive. i have done many works with it at 2gb state. but now it only showing 420 mb and formatting option is allowing me to format only 420 mb. give me some tips to regain rest of the 1…(more than 1.75gb) , how can i overcome the problem? i m having problem in accecing my pen drive , it is not accesible when it’s pluged in …..
am having a 16 gb kingstone pen drive. when its inserted into the usb port, the computer is identifying the device. but it is shown in my computer as a different file. when i try to open it, response is to “please insert a disk into the removable disk”. can u help to solve this problem. Hi My pen drive is detecting in status bar but it is not showing in my computer. pls help me. sir ihave a 8gb transcent pen drive …………..it iwas working fine but from two days when i copies data to my pen drive it disaapears after some times after copying process & system give a notifications i.e. the location is not available or source media not available laterally it appears again……………. i have 4gb pen drive.when iam trying to connect to my laptop.It was showing driver letter E.
but showing ACESS DENIED ERROR. Provide me solution to this. I have PNY 4GB Pen Drive. In PC no Msg. for USB. Other Pen Drive are Working. i have 4 gb kingston pen drive and it shows m0 bytes free space and it’nt format in dos too..
plz send me a soltion for this..
i have a hp 2gb v165w pendrive. its driver are not getting installed. so i am not able to use it. we own a photo printing lab. the problem is whenever i insert a pen drive it says ,usb not recognized n then afta that it says this device can perform faster…. due to this my data transfer is bcom slow n a tedious process…. im francis from the philippines i haave a problem on my usb drive first the problem is my usb flash drive note recognize and the other day it doenst detect in my computer or even in other internetcafe how can i fix if it no longer been detect and even the message when i plug inmy usb the not recognize it doesnt show now i go to device manager the problemm is 2 usb ports have a problem how can i fix it!!! pls help me sir i have my all files on my usb and my thesis save on my usb drive!!!! I have a sony pendrive 4gb but he don’t formet so please hellp me how to formet………. I have a 4 gb kingstone pendrive when i triying to copy past from my pc to to my pendrive it is saying access is dennied n write protected…..wht should i do to fix this problem as iam using windows xp professional has a OS….please help me out n mail me what to do? First, im running on Windows 7…… When i use my Kingston DataTraveler 8GB (FAT32) it takes approx 2 min. to copy 1GB on it, but when im use my new stick, Kingston Datatraveler 200 64GB (FAT32) it takes about 30 min. to copy 1GB so can someone in here please tell me whats wrong with that Traveler? My 2GB pen drive is not Formatting, so solve the problem and give the tip. but when i click ok to format it shows ‘Pendrive is not unable to format’. How can i solve this problem, plz e-mail me fast. I have bought 32gb kingston pendrive and i’ve got the same sort of problem.When I copy or transfer files to my pen drive, its successfully copied until i unplug it from the computer then the files dissappear only folders that i have created and copied remain.Sometime only two or three file can be open and the rest of the file become corrupted but it shows the correct file size and those file is not readable in other comp and the comp itself from where i copy. I also have the same problem today and after searching half an hour in my computer I got the solution.I 100% believe that this will work. 3- Device Manager Window will appear. Under Unknown Device List on left 1 “Unknown Device” with a “!” sign will Appear,right click on it Uninstall your Device. 4- Now Re-enter your device in USB Port & Re-open devmgmt.msc with run. 5- “Universal Serial Bus controllers” Will be there on left in last. Single Click on “>” like sign on left of it to expand it. 6- On the last your device name will appear like in my case “v165w” was there.If it is not there selct any “USB mass storage device” option. 9- Click Next.Now After 10 Seconds you may open “My Comuter” And See Your Device there. Note- This Work On any pen drive or storage device except Mobiles,Iphone,Ipads etc. i’m using 32 GB Kingston pen drive, whenever i copy any data to it, it shows the data is present but when i try to open that data it doesn’t open. it will show no preview available. same happens with the word documents n all..
i’m using a 2gb pen drive.i’ve copied some pictures and videos in it and i tried to paste it into another laptop.only 618 mb files are pasted but there is nothing but empty folders present in the pen drive.when i tried properties,it shows 1.29gb used.whats the problem? I’m using 16 GB Kingston pen drive, whenever i copy any audio/video file, it shows the data is present but when i try to run that in any computer/laptop it doesn’t open.An error has occured.But when I copy the same file in any other Pen drive it works.Please help me asap. i bought a pendrive before some days. it is work properly but the videos file does n’t read properly. the videos are struggled.plz any ideas to send my Email . i had bought a 8gb kinston’s pendrive………………but when i attached ..it show memory 0 bytes.!!!!!!!! plz help meeeee………urgantly!!!!! what should i do? I have a transcend 8 GB pen drive. It worked fine for @months. Now when i formatted it, it is showing the space as 101Mb. I tried multiple times but unable to do it. Could any one help me with that..
I’m having a 4 GB pen drive and it is not working now. it can be viewed in disk management and shows that it is offline. it worked earlier it asked me to format the drive and windows was unable to complete the format, and hence i have tried it several times.. Now it is not opening in my laptop also. My computer (both) OS is windows 7 professional. while connecting driver is getting installed and shows that the device is ready to use. But not opening in my computer..
i have a problem with my usb derive i bought a new transcend 8gb pen drive when i connected to the computer it detects and instal it but it shows a warning like” The system cannot find the file specified” only one time at first . i cant able to use the pen drive. in the properties of the pen drive the disk shows the used and free space as 0 bytes. please tel some suggestions to fix my problem. hai I have a 16 GB pen drive ( Kingston make) . But I cannot recover big files when I connect it to another system . But small word files can be recovered. my pen drive is formatting upto 99% & then displaying the error message that “system can not complete format”. I have pen drive of 1 GB storage capacity. it takes only around 300 MB and says, it has to be formatted using NTFS system to use the entire space. when the data is only 300 MB, my car music system recognises and plays the song. whenever i format it using NTFS system, i get the full storage space, but when i connect to the car audio system, it says,”Device cannot be played”. Can u help me on this? I have two USB flash drives 16GB and 4GB. In my Computer both flash drive was working normally and after that both flash drives i have try insert in friend Computer for copy some data its not detecting and there is no any message appear about USB flah drives. Then i have checked in PC and another computers its not detecting. I need to know why my flash drives are not working. kindly suggest me. i plug in my ADATA flash disk on my computer , but when i go to open it, i see it is like a short cut, i try to see its property, it shows that space used is zero and free space is zero. I have scen disc pen drive of 32gb now I have problem that when i insert mt pen drive error coming(windows – no disk… exception processing message c00000013 parameters 75b6bf7c 4 75b6bf7c 75b6bf7c) & all data are corrupted pls help me..
i have transcend 2GB pen drive now it is sowing please insert a disk in E: what to do it is not being formatted also . i have a 32gb pendrive TRANSEND 2.0 USB, and i am unable to send my 7gb image file of a GAME into it, it shows an error of (DRIVE IS FULL, ENTER NEW DISK). I have kingston 4 gb pen drive. when i click on pen drive icon in my computer it shows an error message “K:\ is not accessible incorrect function” where K:\ is denoting pen drive. please help me to solve this problem. i have adata C803 pendrive . when i plug in my pc ask for format. plz help me , how to repair and recover my file .and how to protect from such error. help imediately. if u know. I copies some data from my pen drive and disconnected it, when I tried to access it again it is showing error ‘You need to format this drive’ please suggest how can I get my files back. I have 2gb pendrive. I am unable to see my folders in it (even I selected show hidden folders option). I can see documents but folders I can’t. Please give a solution. i have a 4gb kingston data traveler.. when i was formatting it power has gone.. now it is not getting formateed to any file system.. can u suggest me a solution please??????? hey somebody help me please. my usb pen drive is not opening in my laptop. i dont know wht to do. even it not showing where is that..
My pendrive and system was running correctly but yesterday i installed a pendrive security software and give a key…then i cant copy any items to my pendrives and cant format it.Appear a message like “write protected”.how to remove it. my drive in activated but its not open in system. i have a 4 gb pen-drive. when i insert pen-drive in pc it say to format it…… and when i format it not format and process is continue in many time and it not detected. and show in format box pen-drive capacity only 16 mb. plzzzzzzzz give me solution. i m waiting……………..
i have a 4 gb pen-drive. when i insert pen-drive in pc it say to format it…… and when i format it not format and process is continue in many time and it not detected. and show in format box pen-drive capacity only 16 mb and allocation unit size is show 512kb and file system fat (default) . plzzzzzzzz give me solution. i m waiting…………….. When I insert my pen drive after 20 seconds it shows device driver was not successfully installed and pen drive is not detected I tried your post but again the same message please give a solution. Today when I try to use my pendrive it was not working and it had a very important data in it. Then I called up my brother and i told him that my pendrive is not working , he gave me the link http://softwaretricks.in/forums/index.php?topic=33.0 where I was able to fix my pendrive issue I hope it works for you too. I have a moserbaer pendrive of 4 gb and when i paste any stuff on it ,after removing from PC it gones .. When I insert my pen drive after 5 min it shows device driver was not successfully installed and pen drive is not detected I tried your post but again the same message please give a solution. my pd recognized on every computer but it appears and before disappearing shows FAT32 in windows7.In xp pop-ups hardware damage msg. pendrive appears and disappears in 2-3sec. so i m not able to format my pd…….. in xp it shows zero disk space in properties,windows 7 properly shows disk space…….and i don’t hv warranty card with me.it’s a hp v250w 8gb pendrive (steel)……..plzzzz suggest me for the same…… i m worried a lot.. So please tell me about solution of this pen drive. when data is sent to my pendrive, i am getting a shortcut of removable disc.